“In our Kodiak office as well as our Southeast office in Juneau, we have received a couple of calls from fishermen wondering if there’s been any change as far as those fisheries that were set to open on Jan. 1,” Duncan explained. 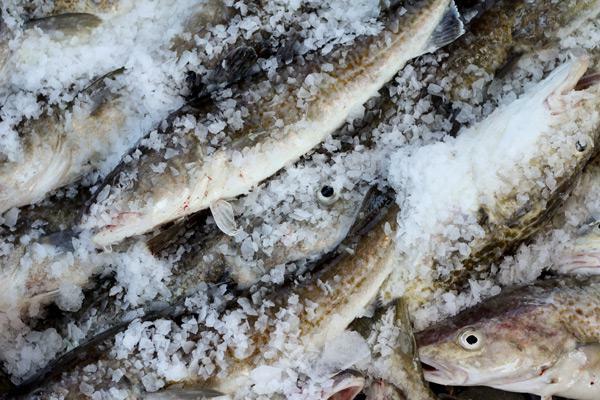 The federal Pacific cod season is set to open on Jan. 1. The good news is that fishery and other federal fisheries due to open on Jan. 20 will open on time despite the shutdown. That’s also good news for Homer-based commercial fisherman Ian Pitzman. He sent two of his boats out to Dutch Harbor prior to Christmas without knowing whether the Pacific cod season would start on time or not. State regulators were also left with questions. Elisa Russ with the Alaska Department of Fish and Game helps manage state commercial shellfish and groundfish fisheries in Southcentral Alaska, where the state first runs what’s called parallel Pacific cod seasons. These parallel seasons allow fishermen with both federal and state permits to target Pacific cod in state waters three miles from shore. Once each federal fishery closes, the coinciding state fishery opens 24 hours later. However, Russ said Fish and Game initially wasn’t sure whether the shutdown was going to affect federal openings and subsequently the state’s parallel seasons. Several fishermen expected just that, but the shutdown doesn’t come without its hiccups. The National Marine Fisheries Service won’t be able to issue or renew any federal fishing permits during the shutdown, but permits for Pacific cod only need to be renewed once every three years. Some large catcher-processor trawl vessels may also not receive some required inspections in time, leaving them with no choice but to tie up at the docks waiting for a resolution in Washington D.C.